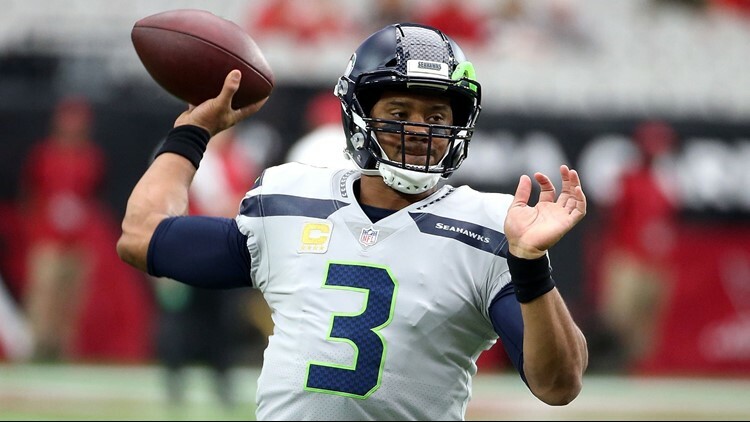 Ben Axelrod makes his picks against the spread for Week 10 of the 2018 NFL season. At some point this season, I began a new strategy: Go with my gut and then go against it. After getting back over the .500 mark a week ago, I turned in my best showing of the season, picking 11-2 against the spread in Week 9 games. That brings my record on the season to 66-56-6, giving me newfound room for error, which I'll surely need. Let's see what my gut says this week -- and then go against it -- with my Week 10 picks. What do you do when a team finds a wave of momentum? You ride it. That's exactly what I'm doing with the Steelers, who have won each of their past four games and find themselves back in control of their fate in the AFC North. Even if they're playing against the worst team in football, the Jets aren't in a position to be favored by a touchdown against anyone -- home or away. I'll take the Bills and hold my nose while being forced to root for Nathan Peterman. The Titans were impressive against the Cowboys on Monday, but this is far from a great spot. With Tennessee coming off a short week, I'll take New England to continue to ride its own wave of momentum against former Patriots great Mike Vrabel's team. 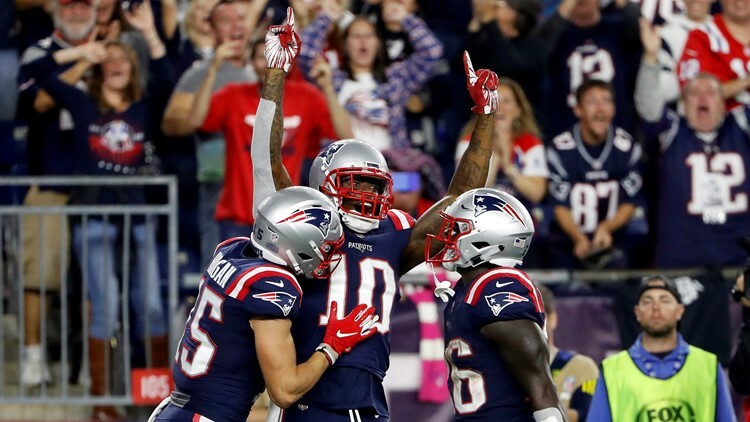 New England Patriots wide receiver Josh Gordon (10) celebrates his touchdown catch with wide receiver Chris Hogan (15) and running back Sony Michel (26) during the fourth quarter against the Indianapolis Colts at Gillette Stadium. I like the Bears to win this game outright, but the Lions have shown enough fight this season that I feel comfortable counting on them to keep division games close. Plus, Mitchell Trubisky still isn't a quarterback I feel great laying a touchdown with. Without A.J. Green, the Bengals are a completely different team. The Saints, meanwhile, appear to be hitting on all cylinders at the right time, just added Dez Bryant and should pick up a decisive win in Cincinnati on Sunday. 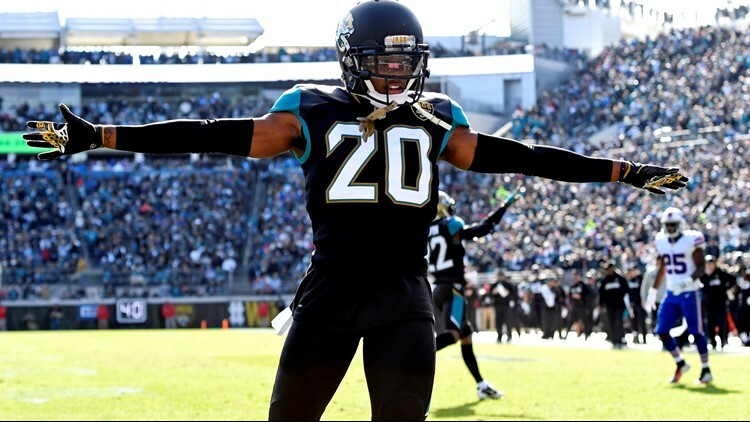 With a 3-5 record -- having lost four straight -- the Jaguars have been one of the NFL's most disappointing teams this season. Still, I think they have more talent than their record shows and at the very least should be able to keep it close with -- if not beat -- a Colts team that's dealt with its own inconsistencies. After being undervalued at the start of the season, one could make the case that a depleted Browns team -- especially on defense -- is now earning too much respect. Until proven otherwise, I'll be inclined to pick against them, especially when a talented opponent like Atlanta is laying less than a touchdown. This line seems like a massive overreaction to the Redskins' 24-point loss to a better-than-their-record-looks Falcons team last week. Meanwhile, the Buccaneers' only win in the last six weeks came against the Browns in overtime. Give me Washington and the points. If my math serves me correctly -- a big if -- this is the most points a team's been favored by all season. I don't think I've laid more than 10 points in a single game all season. Let's give it a shot. 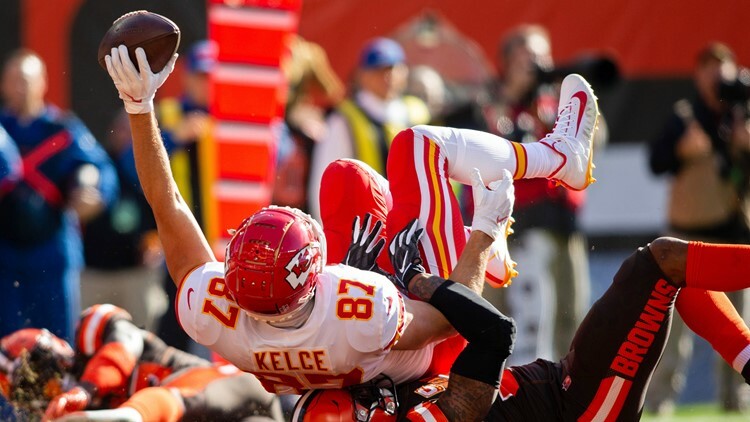 Kansas City Chiefs tight end Travis Kelce (87) raises the ball as he scores a touchdown while being tackled by Cleveland Browns outside linebacker Christian Kirksey (58) during the second quarter at FirstEnergy Stadium in Cleveland, Ohio. The Chargers have won five straight and might be one of the best teams in the league. The Raiders, meanwhile, appear content looking forward to their future in Las Vegas. I don't typically like laying this many points, but I'll take Phillip Rivers to roll over one of the league's worst teams. At 5-4 on the year, I'm not sure Miami is deserving of double-digit underdog status. Conversely, Aaron Rodgers' supporting cast still leaves enough to be desired that I'm not comfortable picking the Packers to cover in this spot. Anybody who's been following my picks -- and who hasn't? -- knows I hate picking against the Rams. Nevertheless, they seem overvalued here in a game against a division foe with an experienced quarterback and Super Bowl-winning head coach. The first time these two teams played, the Rams only won by a score of 33-31. I don't think the Seahawks will keep it that close again, but I do think they'll manage to keep the final score within single digits. Having lost three of their last five, I'm not sure I'm ready to lay a touchdown with the Eagles against anyone. At 3-5, the Cowboys have obviously had issues of their own -- and are coming off a short week -- but should pull out all the stops to keep their postseason hopes alive and/or avoid being embarrassed on national TV for a second straight week. Kyle Shanahan proved last Thursday that he can out-scheme bad teams in primetime action, but these Giants aren't nearly as bad as the Raiders are. At some point, their talent has to keep them in a close game -- if not win one -- something I believe will happen on Monday night.